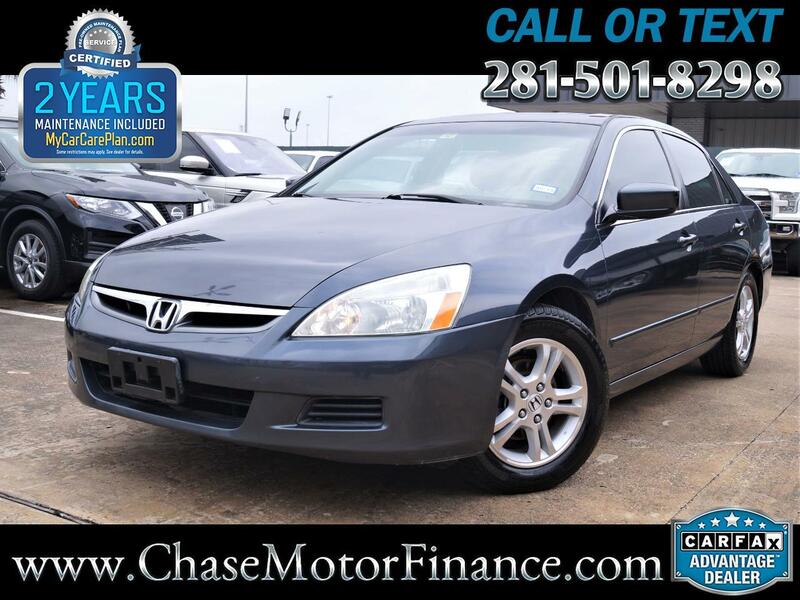 Check out this *BEAUTIFUL* 2006 HONDA ACCORD EX! For sale we have this extra clean vehicle which has been looked after and never smoked in. Finished in gray and gray leather interior this Accord drives as good as it looks! The interior cabin has been kept in excellent condition (fresh & clean!) The exterior body is in very good condition through and through! Please refer to the pictures and have a good look for your self! This Accord Is loaded with Options: Leather, Sunroof, Alloy wheels, ABS Anti lock Breaking system Am/Fm/ CD Player, Heated seats Power seat, Power door locks, Power mirrors, Power windows, Tire pressure monitoring system, Arm rest and so many more...!!! Our mechanics have thoroughly inspected this Honda and have found no mechanical problems! The drive is excellent no shakes or pulls. The 2.4L engine is responsive and the automatic transmission shifts smoothly into gears. Don't miss the chance to own this Beautiful vehicle. Please feel free to contact us should you have any questions! !